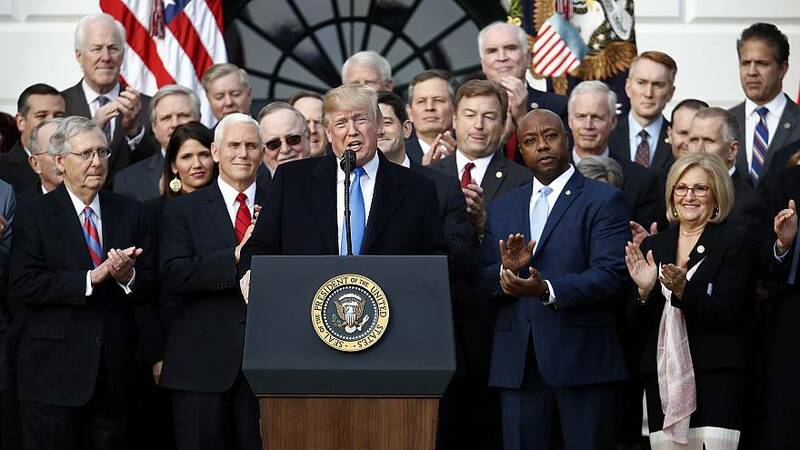 "We have essentially repealed Obamacare," Trump claimed, though previous attempts to fully repeal and replace former President Barack Obama's cornerstone health care legislation failed repeatedly on Capitol Hill earlier this year. Trump has previously said the tax bill would cost him "a fortune," but an NBC News analysis of an earlier draft showshe and his family could save more than $1 billion. Asked about this Wednesday, Trump ignored the question.